Open and bright rambler that's perfect for entertaining in the heart of Kingfield, walking distance to Lake Harriet, near parks, restaurants, coffee and more. Enjoy all the benefits without the inflated prices. Fresh paint, hardwood floors, wood stove, 3 season porch and a basement designed for entertainment. Additionally, private driveway, new retaining wall, fiber optic internet, only available due to relocation. Directions: 35W to Exit 13 towards 46th St, Right on 2nd Ave, left on 42nd St, Right on Wentworth Ave. I was searching for a Property and found this listing (MLS #5143980). I would like to schedule a showing for 4150 Wentworth Avenue Minneapolis, MN 55409. Thank you! I was searching for a Property and found this listing (MLS #5143980). Please send me more information regarding 4150 Wentworth Avenue Minneapolis, MN 55409. Thank you! 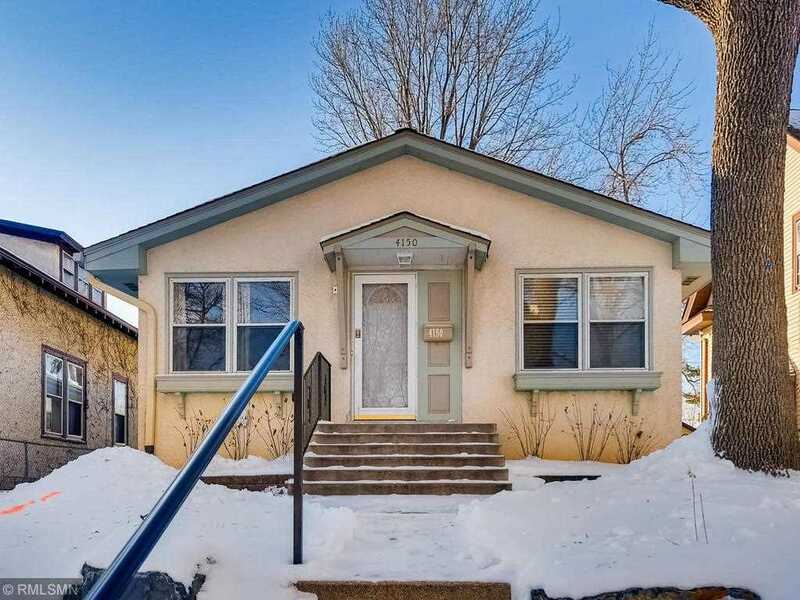 MLS® 5143980: This property at 4150 Wentworth Avenue, Minneapolis, MN 55409 is located in the King Field subdivision and is listed for $350,000. MLS® 5143980 has been on the market for 79 days.